"'The gouging has begun before a shovel has pierced the ground for the Obama Center,' Piemonte wrote." Rents are going up at the Jackson Park Terrace apartment complex, pictured here. 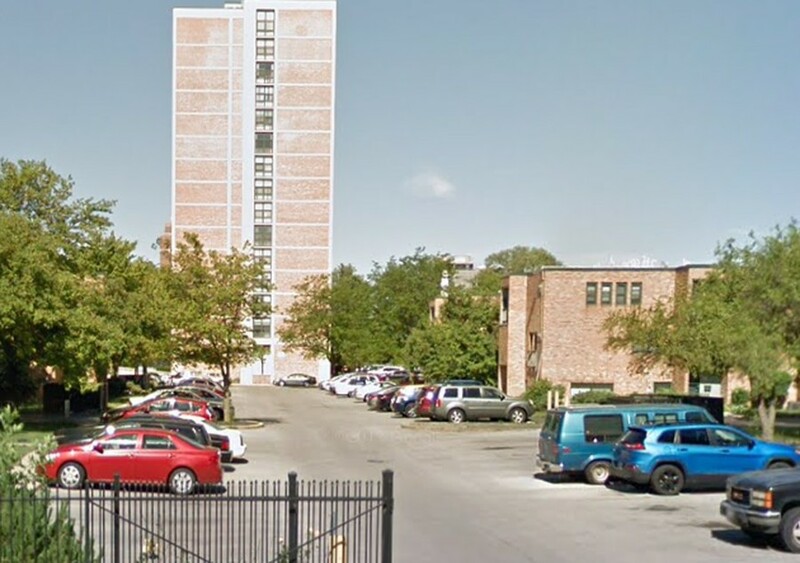 Gabriel Piemonte, candidate for Fifth Ward Alderman, condemned April 1 rent increases in Jackson Park Terrace, an apartment building across from the proposed Obama Presidential Center, in a press release on Friday. “The gouging has begun before a shovel has pierced the ground for the Obama Center,” Piemonte wrote in the press release. On Tuesday, members of the Obama Library South Side Community Benefits Agreement (CBA) Coalition protested rent increases in the apartment building, claiming that the incoming Center has incentivized the building owner, Leon Finney, to increase rents by between $100 and $300. The Coalition also demanded that aldermen pass a CBA ordinance to protect residents from displacement. Incumbent Fifth Ward Alderman Leslie Hairston, who will be running for re-election, said she will not support a CBA ordinance and argued that rent increases are not linked to the Center but instead are happening because tenants previously did not pay the full price of their apartments. Piemonte called on the Chicago Housing Authority, which subsidizes the building, to freeze current and future rent increases in Woodlawn. He also announced that he is launching a citizens’ investigation into other properties owned or managed by Finney in and around the Fifth Ward. “Government agencies must recognize that folks who live here are at risk of losing their homes to ruthless speculators like Finney,” Piemonte wrote. In the past, the Woodlawn Community Development Corporation, a nonprofit that Finney founded, has amassed code violations for the buildings that it managed. The press release asks residents to “document poor conditions at properties owned or managed by Leon Finney or the Woodlawn Community Development Corporation and text them to 773-717-2842 or email them to gabriel@piemonteinthefifth.org. Photos and an inventory of property owned by Finney will be published at https://gabrielpiemonte.com/finney.